Product prices and availability are accurate as of 2019-04-13 12:32:40 UTC and are subject to change. Any price and availability information displayed on http://www.amazon.com/ at the time of purchase will apply to the purchase of this product. What’s in a name? Everything in this case. The watertight lives up to a big promise, delivering top-notch rain protection in the worst conditions. Micro porous Omni-tech fabric breathes to let body heat escape while sealed seams ensure that the elements stay where they belong. Light and packable, the watertight is just as perfect for hard-core hiking as it is for keeping you comfortable on soggy soccer-league sidelines. Curved seams give this jacket a streamlined fit - an adjustable storm hood protects you when the waterworks reach an apex and a drawcord at the hem keeps wind at bay. 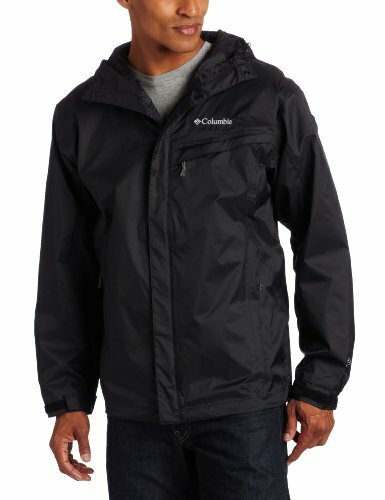 Omni-Tech® Waterproofing Fully seam sealed/breathable Packable into hand pocket Attached, adjustable storm hood, Drawcord Adjustable Hem, Zippered Hand Pockets Columbia's Watertight jacket braves any storm with lightweight nylon, storm-guarded zippers, and a trusty hood.